Hobbitish Or " Bilbo Baggins" Illustrated", The International Sketched Hobbit. I want to present in these galleries, a set of worldwide illustrations published in foreign editions for J.R.R Tolkien's "The Hobbit". From 1947, when the first non-Tolkien illustrated edition was published in Sweden (to my knowledge), to the Nineties, a large number of artists tried to sketch Bilbo. 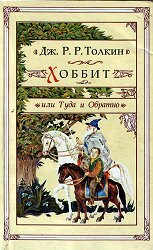 Nowadays, in many countries, new editions tend to take up Tolkien's own paintings, except maybe for the russian editors, who continue to publish, each year, new illustrated editions with an uneven artistic quality for some of them. These galleries are almost all online ; others will come later ! Please, enjoy your visit ! Where to find these books ? July 2003 : Slovakian artist : Peter Klúcik. November 2002: Russian artist : Denis Gordeev. 04-06-04: Let The Hobbit movie happen ! A new feature artist : Peter Klúcik, from Slovakia. 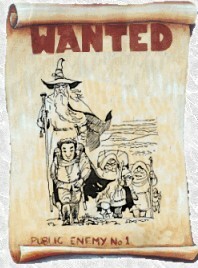 He created a large set of wonderful illustrations for a never released slovakian Hobbit. 6 new paintings from the upcoming russian edition illustrated by Denis Gordeev ! Upcoming illustrated editions online : Ukrainian Hobbit and Eric Fraser famous drawings for the Folio Society edition. The Esperanto edition has been found (thanks Mary !) and added ! Great paintings from an upcoming russian edition by Denis Gordeev ! "Where to find these books ?" page. 10-23-02 : A Guestbook has been opened ! Please leave your comments ! 10-18-02 : A fifth russian edition is online, illustrated by Denis Gordeev. 10-17-02 : The 2 swedish editions are online ! the 1947 one illustrated by Torbjörn Zetterholm, and the 1962 one, by Tove Jansson. The maps have been updated too. 08-20-02 : At least, I found the 1975 romanian edition and it's online. The Swedish edition illustrated by Tove Jansson is also in my book shelves, and will be online soon ! 07-29-02 : the wonderful english edition illustrated by Alan Lee is online. 07-28-02 : a third russian edition is online, and the german one too. 07-26-02 : Another russian edition is online, as well as the estonian one ; the comics adaptation illustrated by David Wenzel is linked to Rolozo images gallery, since it was already scanned by someone else and I don't have enough place to host it too. 07-25-02 : Today, the incredible czech illustrations are online and a set of maps from all these various editions. 07-24-02 : The great japanese edition is online and a new french one too. 07-23-02 : Russian and portuguese galleries are open. 07-22-02 : English and latvian galleries are open. 07-20-02 : Initial release ; french and bulgarian galleries are open. 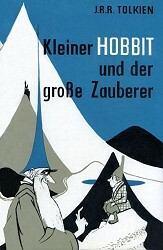 German edition from 57 or 67 illustrated by Horus Engels. (Thanks John for the cover !) 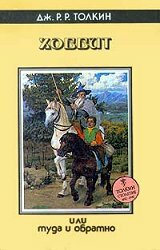 Russian edition illustrated by Denis Gordeev. The images from this edition are online thanks to Natalia, but I'm still looking for this book published in 91 and 92. A french bookstore : Librairie Tirloy. Elbakin, the french Tolkien & fantasy portal. Ted Nasmith Artwork, the most complete website on Nasmith's paintings. Les Chroniques de Chant-de-Fer, the french chronicles of Durin folks. 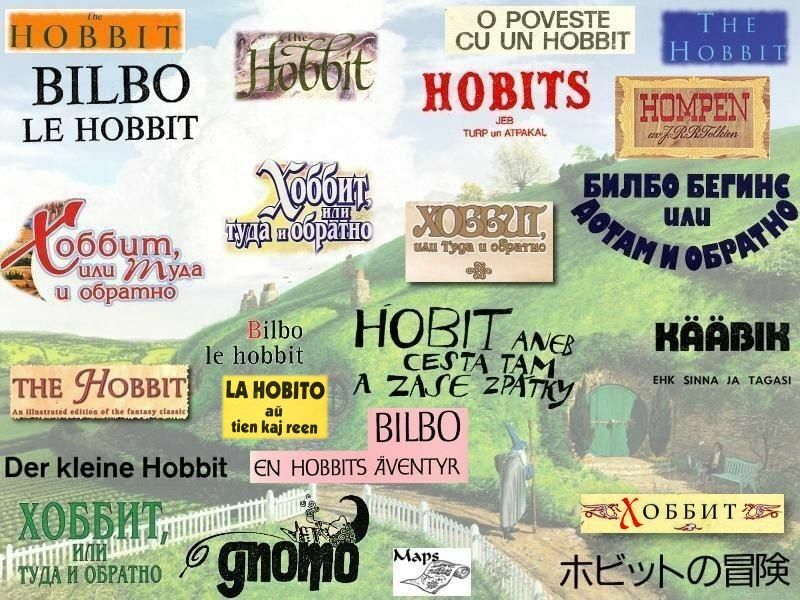 Hobbits of the World, a webpage from a "Hobbit collector" with many useful information ! All the Russian Hobbit editions. All Images © Copyright by their respective author and / or their publishing companies.